I am pleased to inform you that you live in both Mapleton-Fall Creek and Union Park Place! 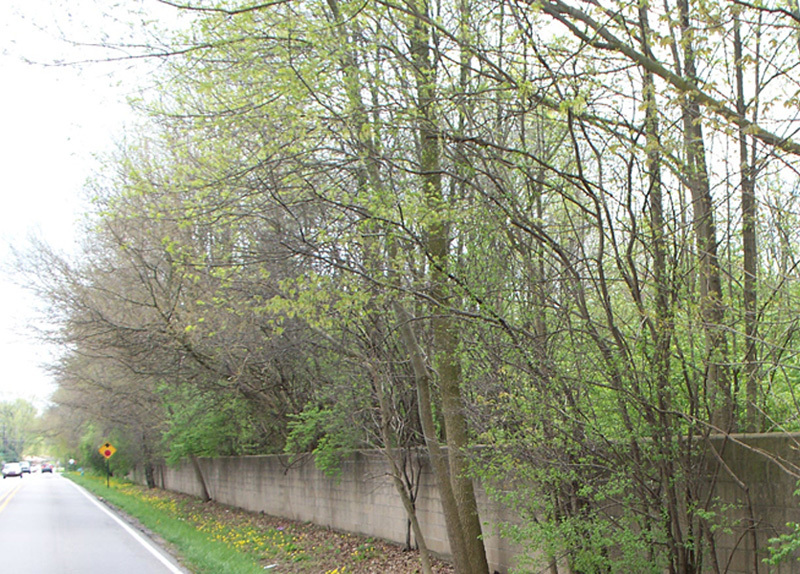 Mapleton-Fall Creek is the name of the neighborhood association that was founded by local residents in the 1960s to address the challenges that arose after many of their neighbors left the area for the suburbs. 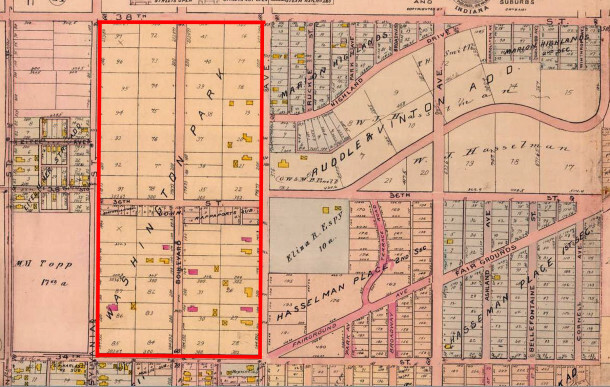 The organization’s appellation was derived from Mapleton, the name of a pioneer settlement in the vicinity of what is now the intersection of 38th and Illinois Streets, and from Fall Creek, the body of water that forms the southern and eastern boundaries of Mapleton-Fall Creek. Union Park Place is the legal description of the addition in which your home is located and is a relatively small area completely within the boundaries of the Mapleton-Fall Creek Neighborhood. 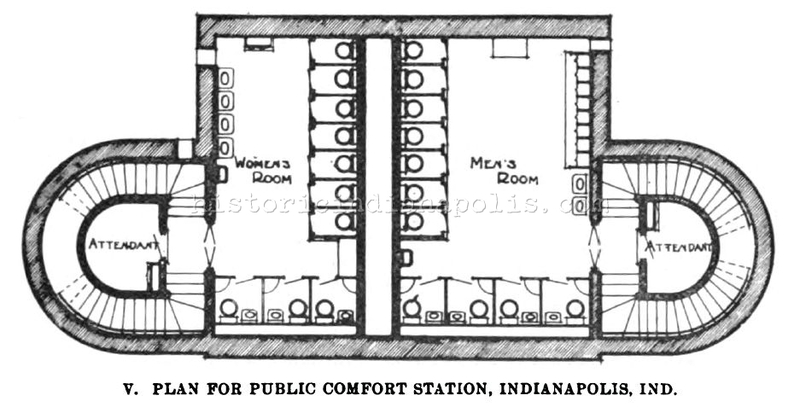 In the first few years of the 1900s, Indianapolis made two decisions that resulted in rapid growth of the area now known as Mapleton-Fall Creek. The city built beautiful wide bridges over Fall Creek and also expanded the city limits to Maple Road, the thoroughfare now better known as 38th Street. Knowing that the clean, quiet, rural-like land north of Fall Creek would appeal to upwardly mobile city dwellers, real estate developers purchased tracts of land and divided them into building lots. 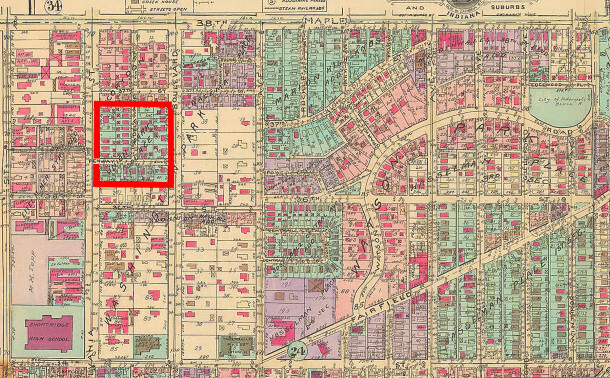 The area that became Union Park Place was originally part of an addition called Washington Park, which extended from East 34th Street on the south to East 38th Street on the north, and from North Meridian Street on the west to Central Avenue on the east. 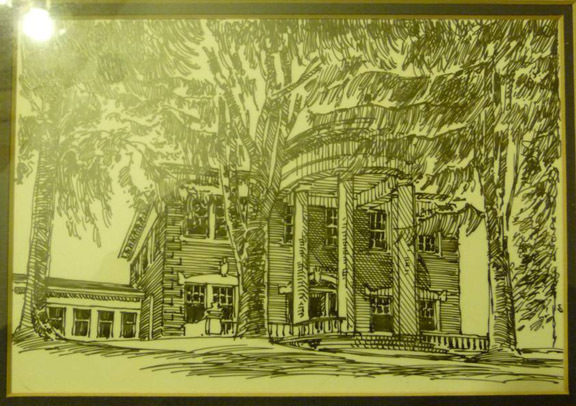 Washington Park was planned as an upscale neighborhood of mansions on 150-foot wide by 300-foot deep lots. In the first two decades of the 20th century, a number of large, impressive homes were built on the west side of Central Avenue, on both sides of Washington Boulevard, and on the east side of Pennsylvania Street. 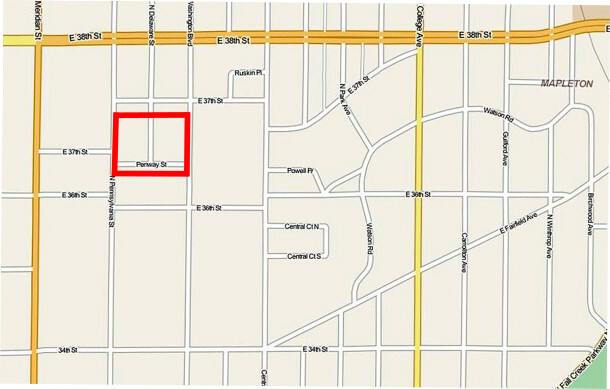 By the early 1920s, however, few homes had been built north of 36th Street on any of the three north-south streets in Washington Park. 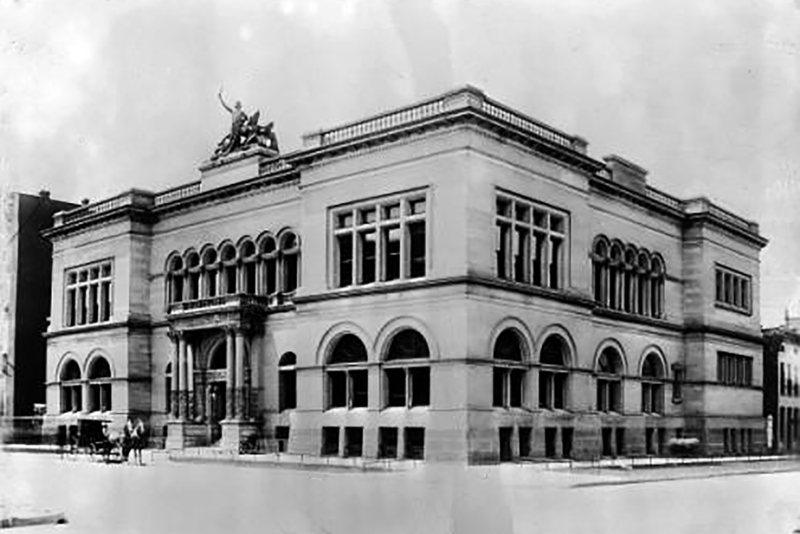 A portion of Washington Park was sold off and became Union Park Place. A second portion of Washington Park, directly north of Union Park Place, became Corydon. A third portion of Washington Park, northeast of Union Park Place and directly east of Corydon, became Wacema Place. Wacema was a name made up from the first two letters in the surrounding street names of Washington, Central, and Maple. The developers of Union Park Place, Corydon, and Wacema decided that smaller lots and smaller homes than Washington Park’s would be more affordable to a greater number of home buyers. A new east-west street, Penway, and a new north-south street, Delaware, were created north of 36th Street, between Pennsylvania Street and Washington Boulevard. Most of the building lots in the three newly created additions were pared down to about one-fourth the size of the former Washington Park lots. These homes were still roomy and well-constructed, but not as elegant as the mansions built earlier. Union Park Place wound up containing 40 residential building lots, although there are only 36 homes on those lots today. 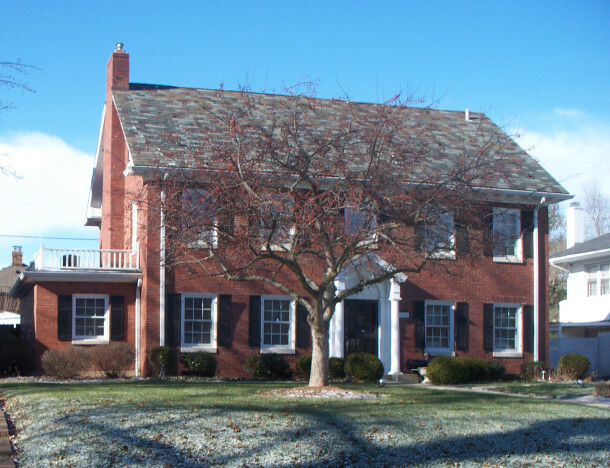 The first year an Indianapolis City Directory listed residents in Union Park Place was 1923. On Pennsylvania Street, the homeowners appearing in the 1923 directory were Meyer Efroymson, C. Fred Klee, Taylor C. Power, and James M. Drake. 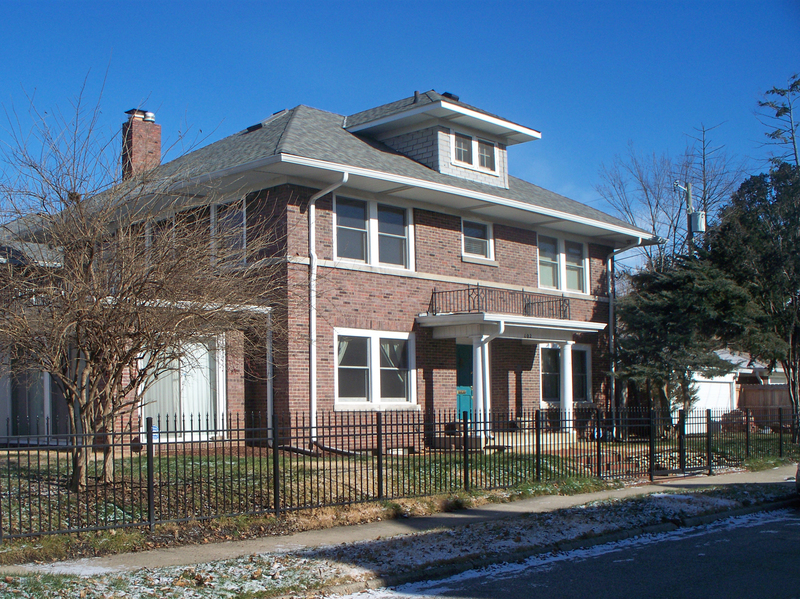 On Delaware Street, the original homeowners were David L. Fryer, John B. Quirk, DeWolf Jackson, and Theodore Schuler. 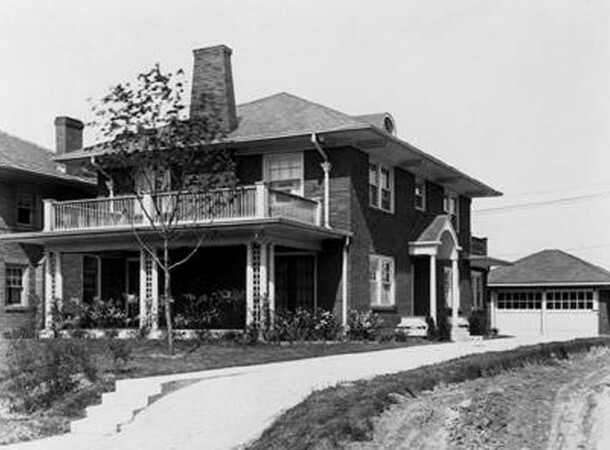 On Washington Boulevard, the first homeowners were Everett F. Rowe, Robert B. Evans, and Edwin M. Kaelin. 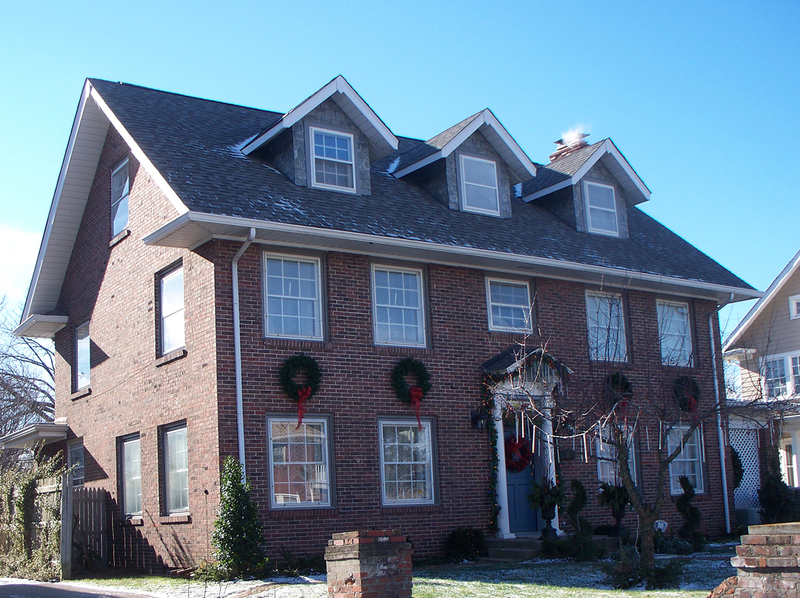 On Penway Street, the earliest homeowners were Luther S. Shoup, Milton N. Simon, Katherine E. Jones, and David A. House. Photos of four Union Park Place homes were taken shortly after their completion by the W. H. Bass Photo Company. They appear below. During the ninety-two years of Union Park Place’s existence, many interesting people have resided there. Some names of past owners will be mentioned here, but current residents’ names and addresses will not be listed, out of respect for their privacy. Meyer Efroymson owned 3621 N. Pennsylvania Street during the years that he was President of H. P. Wasson and Company and saved the Real Silk Hosiery Mills from bankruptcy. Emma Schnull Vonnegut, the widow of Clemens Vonnegut Jr., moved to 227 Penway Street after her husband passed away. 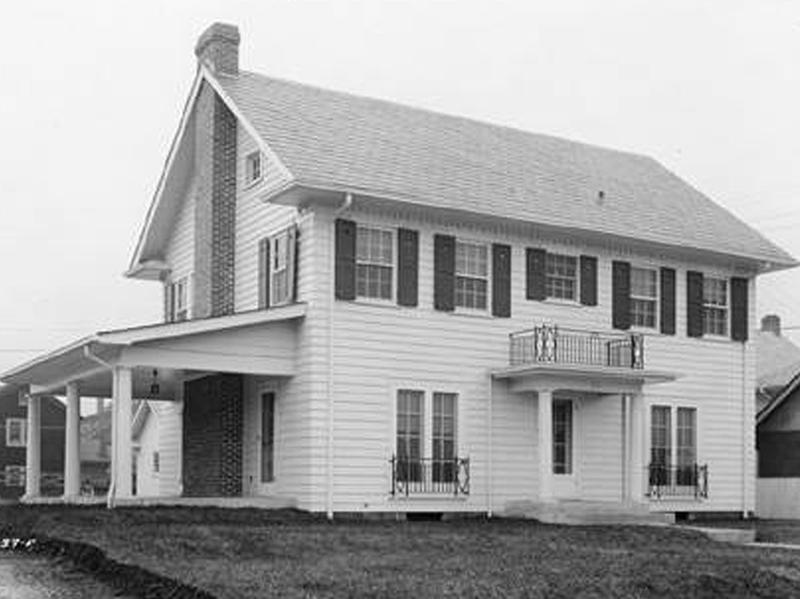 United States Southern District Court Judge Robert C. Baltzell lived at 3660 Washington Boulevard for many years. 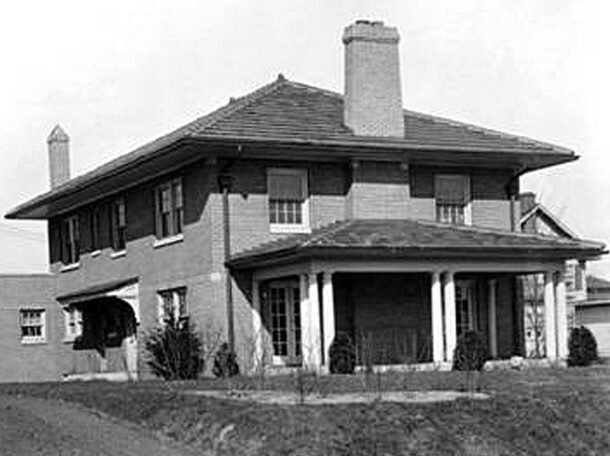 Clara Stutz, the ex-wife of automobile manufacturer Harry C. Stutz, lived at 3656 Washington Boulevard from the time of their 1925 divorce until her death in 1939. 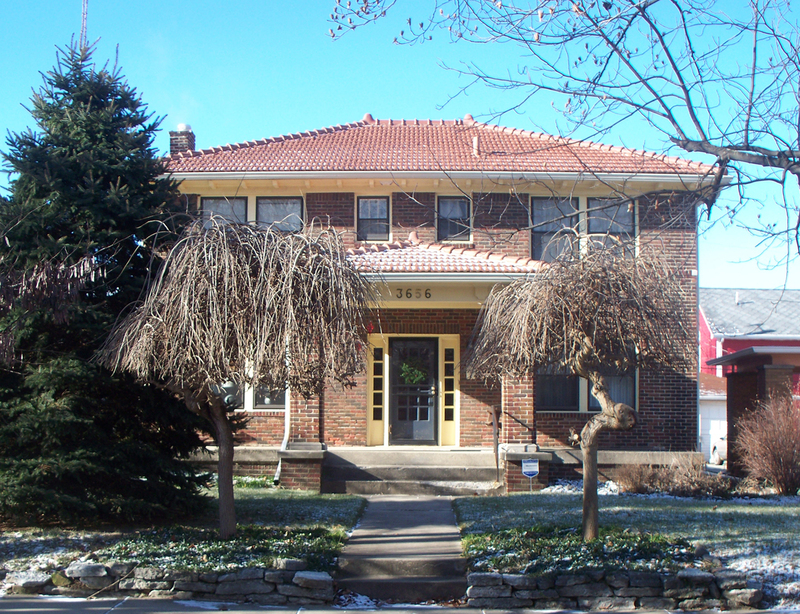 The Stutzes’ daughter Emma and her husband, William S. Horn, also lived at 3656 Washington Boulevard. The Horns were the proprietors of the popular Washington Flower Shop at 30th and Washington Boulevard. 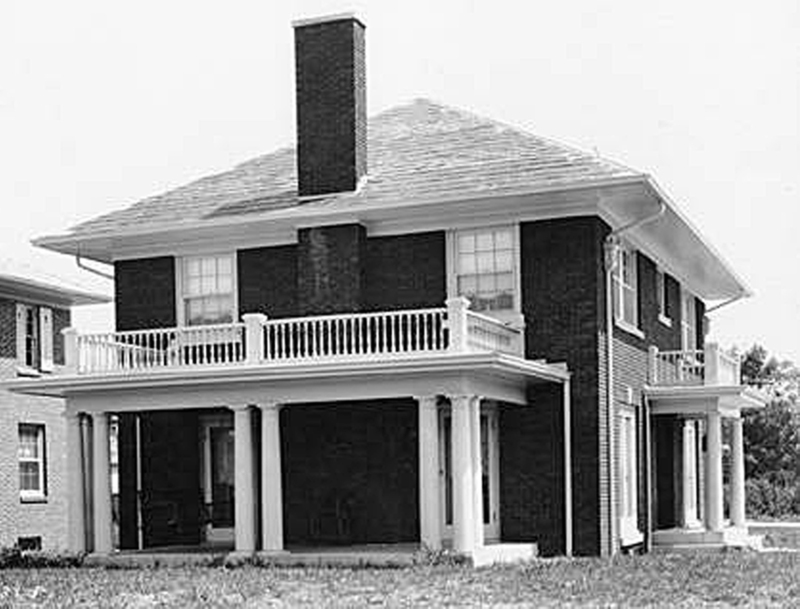 Peoples Bank President Felix M. McWhirter, wife Alma, and children (including Felix T., who later presided over Peoples Bank), lived at 3655 North Pennsylvania Street in the late 1930s and early 1940s. Lewis S. Finch, Chief Engineer of the Indianapolis Water Company, and his wife Louie, lived at 115 Penway Street from the early 1940s until the late 1970s. Accountant George S. Olive Jr., wife Sally, and their children resided at 3666 North Delaware Street in the Fifties. Pawn shop owner Samuel Dock and wife Esther were at 3670 North Delaware Street in the Fifties. 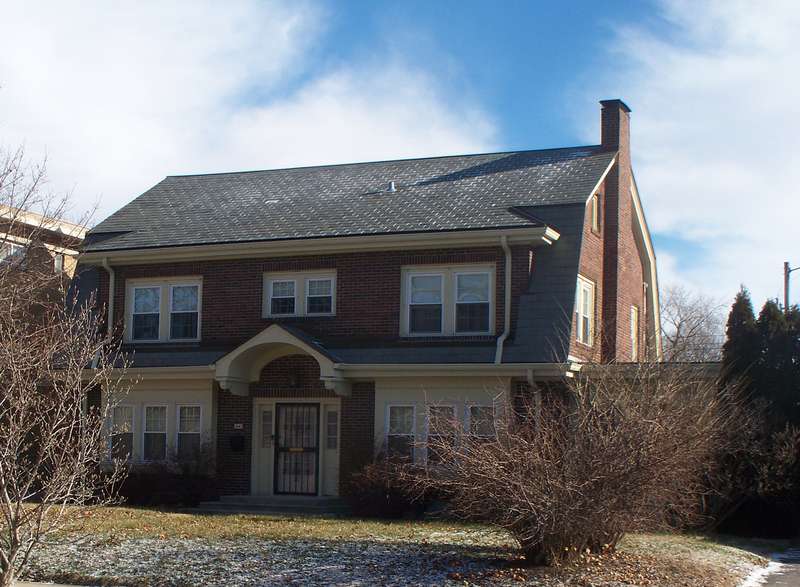 Physician Harlan H. Tyner, wife Erma, and their four children resided at 3663 North Delaware Street from the 1950s until the 1970s. Men’s clothier Jack C. Dubow, wife Helen, and family owned 3619 North Pennsylvania Street from 1951 to 1972. 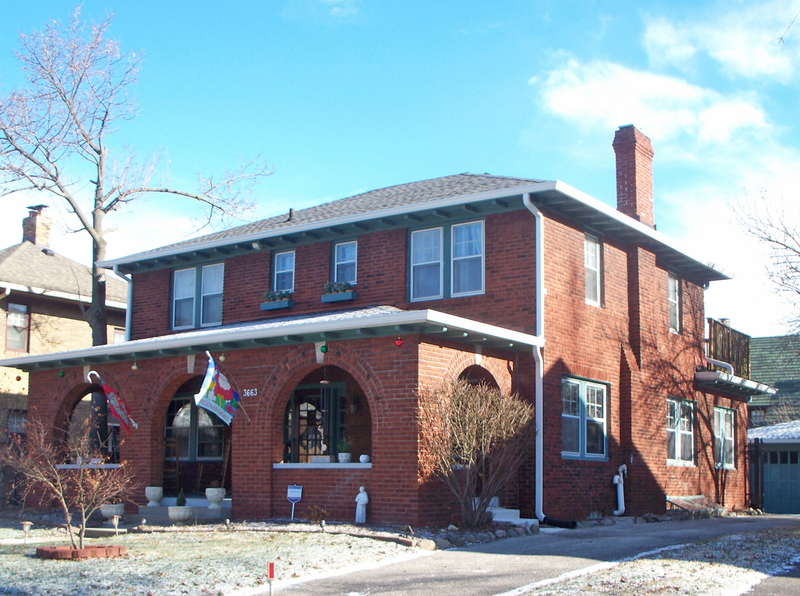 Ian Fraser, Herron Art School Professor and IMA Clowes Collection Curator, lived at 3678 North Delaware Street for more than two decades. 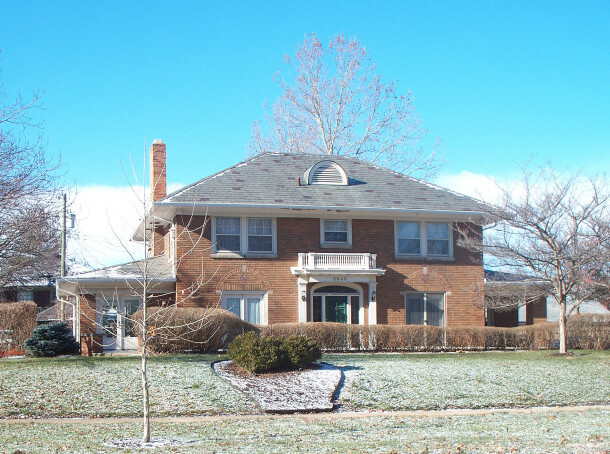 Although conceived of as strictly a residential area, some of the larger homes on Washington Boulevard were converted to commercial uses in the 1960’s and 1970’s, and those structures continue to function as office buildings today. Fortunately, the homes on the three other streets of Union Park Place have remained as residences. Thanks to the quality of their original construction and a growing desire by people to live in a more urban environment, there is renewed interest in the homes on Delaware, Pennsylvania, and Penway. Current images of eight randomly selected homes — two on each of the four streets in Union Park Place — appear below. 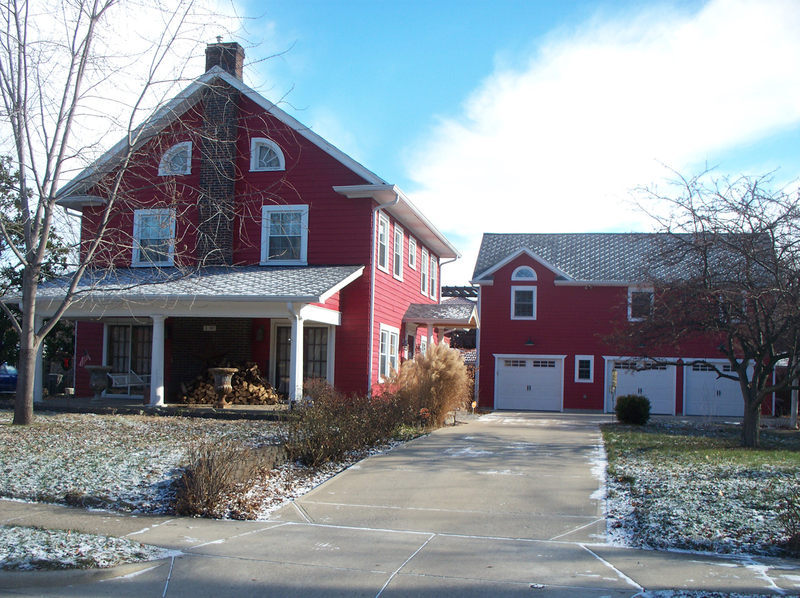 Great article….I live in Historic Watson Park and ride my bike (weather permitting) thru this area all the time, admiring the beautiful homes and wondering about their history…thanks for the background and pictures. Thank you for all of the work you put into answering my questions. I enjoyed finding out why realtors call this area Union Park Place. I’d also heard the Washington Park title and was confused about its difference from the city park by that name to the east. I didn’t realize that the area to our immediate north (between 37th and 38th) had a different designation. At any rate – a great read, and a great neighborhood full of wonderful houses and wonderful neighbors. I live at the intersection of 37th and Delaware. I really appreciate the research work of Sharon Butsch Freeland in this article about Union Park Place. I wonder if she was able to uncover any information about the architects and builders of this neighborhood, as well as the adjacent Corydon.